Happy Cinco de Mayo friends!! I hope that you're going to be enjoying some tacos, queso and cocktails tonight!! Before 5:00 PM strikes I thought I'd talk about some books on my radar! 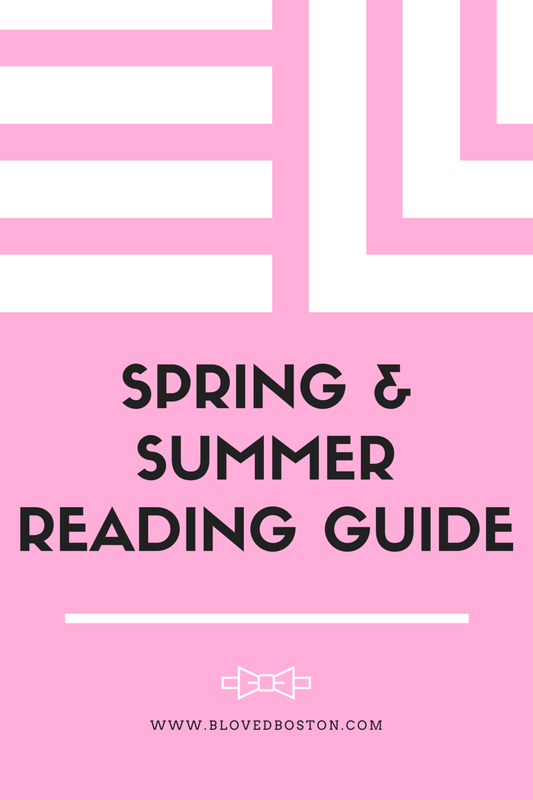 Last June I shared my Summer reading list and since then I've read a book here and there, but honestly nothing like I was reading last year - so I'm here to get myself excited for some new books and hopefully you'll share some of current reads with me as well! As someone turning thirty next year, I'm really excited to read this book about someone that "has it all," but quickly loses it. 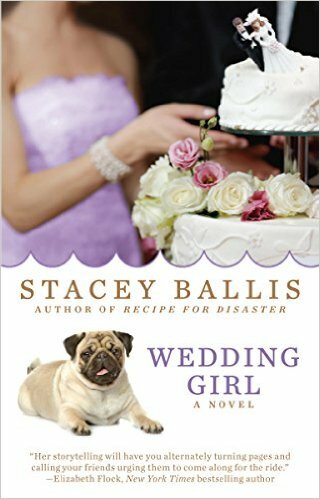 I think we all know I'm wedding obsessed by now, so when I read that this book is You've Got Mail meets Julie & Julia I couldn't wait to get started! If you're a fan of the show Odd Mom Out on Bravo, you'll probably like this book because it was written by the creator of the show. This book also got a thumbs up from Reese Witherspoon so I'm sure the movie will be coming out at some point! Working in finance, I'm pretty excited to read this! A whip-smart and funny novel told by a former Wall Street insider who reveals what it’s like for a working woman to balance love, ambition, and family in a world of glamorous excess, outrageous risk-taking, and jaw-dropping sexism. In 2008, Isabelle—a self-made, thirty-something Wall Street star—appears to have it all: an Upper West Side apartment, three healthy children, a handsome husband, and a high-powered job. But her reality is something else. Her trading desk work environment resembles a 1980s frat party, her husband feels employment is beneath him, and the bulk of childcare and homecare still falls in Belle’s already full lap. I think all of us can agree we love our phones so this will be an interesting read! This unforgettable debut novel asks us to look up from our screens and out at the world . . . and to imagine what life would be like with no searches, no status updates, no texts, no Tweets, no pins, and no posts. 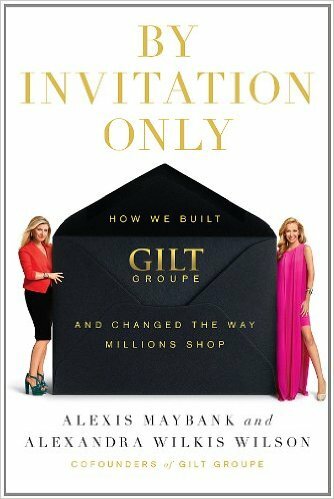 I love reading about women entrepreneurs, especially in the tech industry so I can't wait to dig into this one about how the Gilt Groupe was founded! Clearly most of this stuff is fluff, but that's what I really enjoy reading - as well as thrillers, but I think I've had my fair share of those recently so fluff it is! I'm challenging myself to read one book a week, every other week and I'm starting with Chasing Harry Winston - it's one of those books that's been on my list for the longest time and I love the way the author, Lauren Weisberger writes. All of these books sound awesome! Definitely interested to read the 30 book!! FUN summer reads!! My mom just got Opening Belle, so I am sure to borrow it!! Hope you have an awesome day gorgeous!! Almost Friday!! Love this post! Glad I finally have some books to add to my wishlist. What a fun list! I am so far behind on my reading list, but I now have to add a few to it! You will love Chasing Harry Winston. Lauren is the best! I love reading fluff in the summer time too! I really want to pick up The Nest because everyone has been raving about it! Summer is totally about fluff! I just bought my fluff books yesterday- well preordered them! And Lauren is coming out with a new book! fab list! in the spring and especially summer, i like books that aren't serious and are fun, like these. great for reading by the pool or beach. i didn't know the creators of gilt had a book! another to add to the list. Thanks for all of the great rec's! The one from the chick from Odd Mom Out sounds good! Yesss for this list! I want all of these now! Added the first three to my Goodread list! I abs love reading, I just wish I had more time to do it. Love these posts, keep them coming! So many good book options here! I'm going to add Thirty Days to Thirty to my list. I'm about to start Maybe In Another Life (finally got it from the library), and I also have Exposure to a Billionaire by Ann Menke and The Fault in Our Stars on my immediate to-read list. That wedding one looks cute. Up my ally too. Happy Cinco de Mayo Biana. Thanks for sharing these awesome books with us, lovely lady! I can't tell you how perfect the timing is for this post! I've been searching for books to take on vacation for later this month and I see several here that I need to add to my list! Especially Wedding Girl and By Invitation Only, they both look so good. Thanks for the recommendations, Biana! I'm super interested in Love and Miss Communication.. I really have a weird aversion to social media and always think about how my parents didn't have phones, the internet, e.t.c. when I was a kid. Wedding Girl looks like the cutest! I'm really intrigued by By Invitation Only - that sounds like a great one and is now on my list - I always like the fluff books better too - more fun! Thirty Days to Thirty sounds really good! I'm not a big reader but I can tell, I'd enjoy that book. You've got such a great line up of interesting reads here, Biana! I'm particularly interested in Thirty Days to Thirty, Love and Miss Communication and How We Built Guilt! I just may need to add these to my list after reading Dave Ramsey's Complete Guide to Money, he is AMAZING, girl! He teaches you everything you need to know about managing your finances and has taught even my husband a few new things about his industry (auto) he never knew before in terms of offers and such. I took his Financial Peace University class, but never finished this book, now Eddie and I are reading it together to get our finances in order, I highly suggest it! Thanks so much for sharing these reads and I hope you're having a great week so far! All of these look great! Good picks! 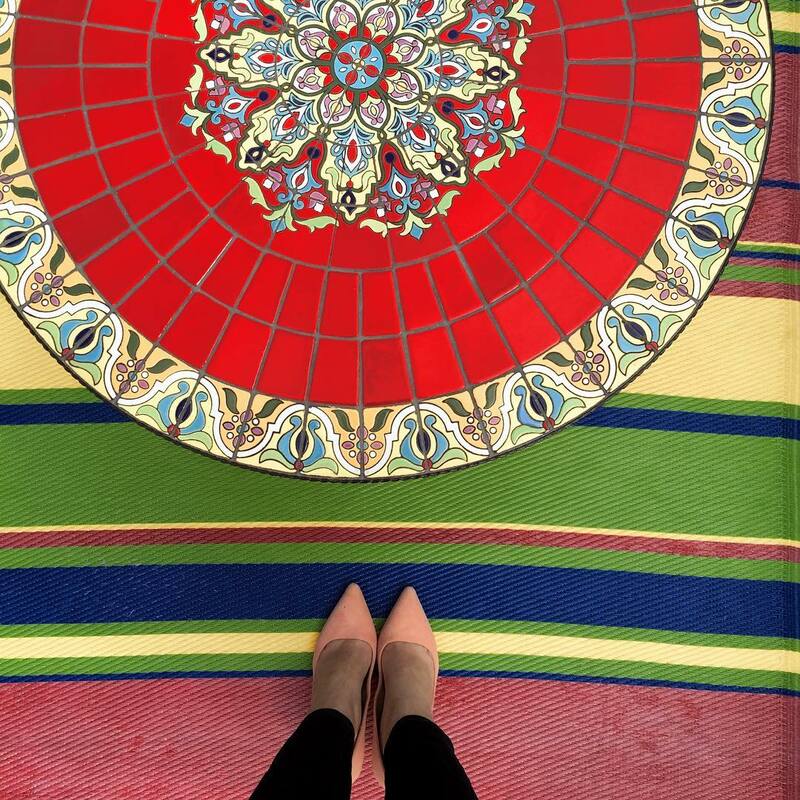 This couldn't have come at a better time, Biana! I'm currently looking for a new book to read. You should definitely keep us updated on what you end up reading weekly! Adding these to my list for sure! Great book selections! I'm definitely trying to do more reading this month! So sharing this first book with my 25 year old daughter!! These all look like fun summer reads!! I have too many books on my reading list to count right now and it just keeps growing! I loved By Invitation Only! Such a great read! HAPPY CINCO! Hope you'll be enjoying lots of margs! 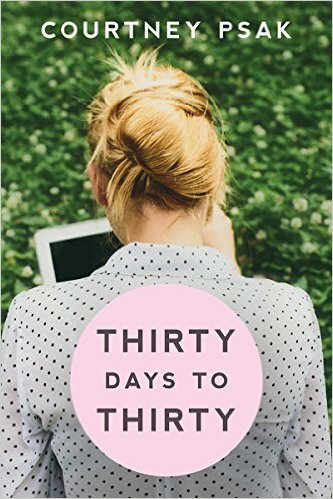 Thirty Days to Thirty sounds like an awesome read! Happy Cinco de Mayo, lady! I was just thinking I'm going to need some reading material for our upcoming trips! 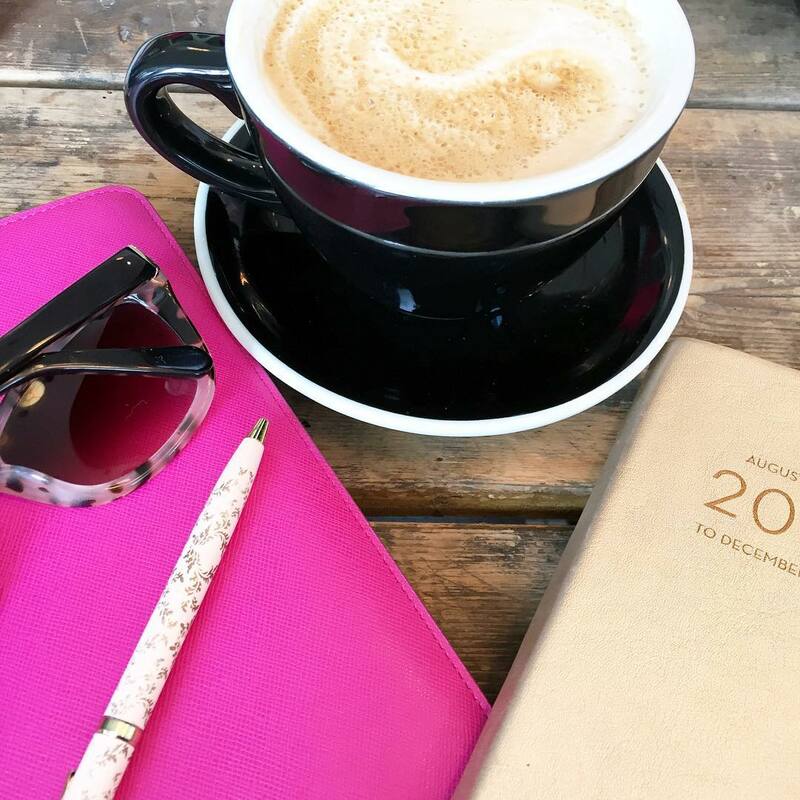 I love reading about business owners - and how they got their start. I might have to check out the last book. 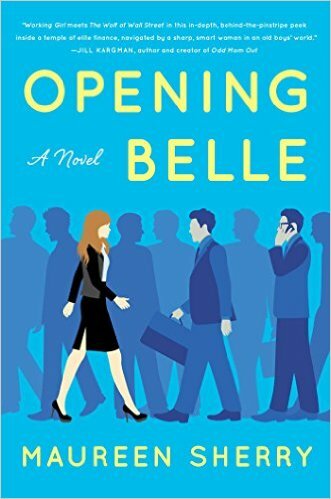 I read Opening Belle, haven't heard of the others! Seriously, all of those sound like such cute reads, and I want to read them all! I like that they all sound like light reads, which are perfect for the summer when you're on the beach! I love your goal that you set for yourself too, of reading one book a week every other week! You can totally do that! Chasing Harry Winston is soooo good! You'll love it! I've read it twice! This is the best book suggestion list I've seen yet when it comes to my personal tastes. These all sound incredible!! I love coming of age type stories. I haven't read a book in forever I feel! I need to make some time for one! I have heard Chasing Harry Winston is awesome! Great choices! 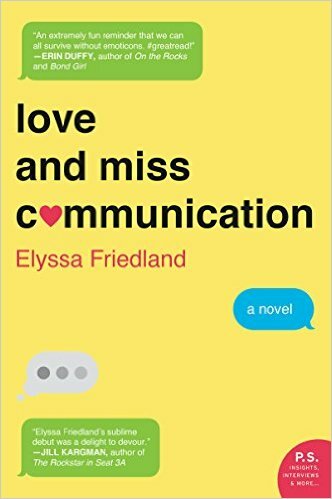 Love and Miss Communication has been on my reading list for a while, but the others are new to me...I'm particularly intrigued by that Gilt book! All these look amazing! I'm currently finishing "The Andy Cohen Diaries" (so great!) and I will add these too my list! I really need to try to find the time to start reading again. Maybe books on tape is a good alternative for me....I feel so out of the loop with good books!! That first book reminds me of a book by Sophie Kinsella "Remember Me" except it's about a different thing but the finding one's self is a major theme in it. Adding these all to my kindle wish list. I will definitely start with the first one, my life kind of fell apart about a year ago right before my birthday and I picked myself back up, started making a list of life goals and am better off. With another birthday around the corner it seems like a perfect read!! Thanks for another great suggestion list! I need to get back on reading again. Thanks for sharing. Thank you for suggestions! My reading list? Well, I have a great book lists for kids. I've been looking for some new reads, this is perfectly timed! Fun list! And a book a week, dang girl! All of these sound amazing! I'm saving this post to come back to. I'll be lucky if I get to read one book this summer but I'll take it! We have been SOOOO busy lately. Our Cinco dey Mayo feast was Chipotle. Does that count? lol I really need to get back into reading! I used to love it and now I use the "I have no time" excuse. Which is so lame. I know plenty more busier people read loads of books! I love book suggestions! I always have such a hard time trying to decide on something to read, a lot of these sound super interesting! I think I'm gonna have to steal this idea! I have a ton of books sitting on my bedside table waiting to be read! These all look really good too! So thanks for giving me to add to my list! What a great list? I just finished Love and Miss Communication after reading about it here, and the main character really resonated with me. I have 2 more on request with my library. I'm always in the mood for a good read and appreciate learning about new writers. Thanks again Biana! i love fluff, no shame! added all of these to my list. anything Reese Witherspoon gives the thumbs up to, I'm gonna read.